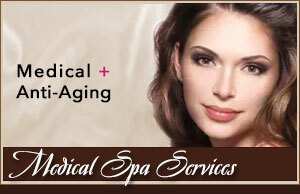 Restore your natural beauty with a facelift in the Inland Empire. Specializing in cosmetic plastic surgery, Dr. Park offers a wide assortment of options for those in the Inland Empire seeking physical enhancement and self-improvement. People in the Inland Empire trust Dr. Park for his experience, dedication and the artistic skill applied to every facelift procedure. Dr. Park is highly skilled and trained in the field of facial plastic surgery and understand your desire to look as good as you feel inside. Unfortunately for most in the Inland Empire, age, stress, gravity, sun exposure and personal health can all take a toll on our appearances. But thanks to technology and advancements in plastic surgery, a facelift can help defy these effects of nature and give you back the refreshed and youthful appearance you’ve been missing. Designed to smooth out wrinkles and enhance the appearance of your facial and neck areas, having a facelift in the Inland Empire is an excellent way to restore your youthful beauty and regain confidence in your looks. A facelift, also known as a rhytidectomy, is performed by making very small incisions around your hairline, ears and sometimes under your chin. Excess skin and fat is removed, the underlying muscles are tightened and the facial skin is redraped, improving your appearance and helping you look and feel years younger. Come to the Inland Empire today and refresh your self-image and appearance with facelift cosmetic surgery. If you?re looking to change a certain physical feature or improve upon the contour of your figure, come have your cosmetic surgery in the Inland Empire. As experienced and dedicated cosmetic surgeons, Dr. Park is committed to helping you achieve your cosmetic goals and love the way you look. From breast augmentation and tummy tuck surgery to facelift and rhinoplasty procedures, cosmetic surgery has something for every individual seeking self-improvement. Search our site to read more about Dr. Park to learn about Inland Empire cosmetic surgery. In the Inland Empire, more people every year are discovering the amazing benefits of rhinoplasty cosmetic surgery. Designed to reshape your nose, a rhinoplasty can reduce or increase nose size, change the bridge or tip of the nose and narrow the span of the nostrils. 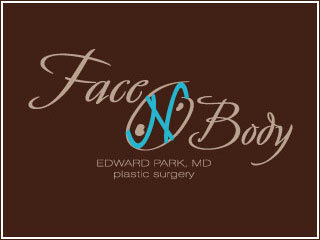 For dedication and experience in cosmetic surgery, people in the Inland Empire trust Dr. Dr. Park. As a highly skilled cosmetic surgeon, Dr. Park is committed to helping you achieve your cosmetic goals. Call today to learn more about having an Inland Empire rhinoplasty procedure. 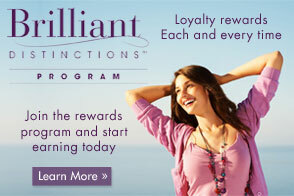 Come have a facelift in the Inland Empire and dramatically reduce the signs of aging. A facelift is designed to smooth out your skin and eliminate wrinkles, giving you a fresher and more youthful appearance. Dedicated to helping you achieve your personal cosmetic goals, Dr. Park strives to make your plastic surgery experience in the Inland Empire one of success and total satisfaction. Come turn back the clock on your looks with a facelift procedure in the Inland Empire and discover the incredible work of Dr. Park.